For this review of ‘The Lego Movie 2: The Second Part’ I guest starred on an episode of ‘After The Credits’ a movie review podcast run by fellow screenwriter Robert Kijowski, and his co-host, Norton. It’s available below and on spotify.com. 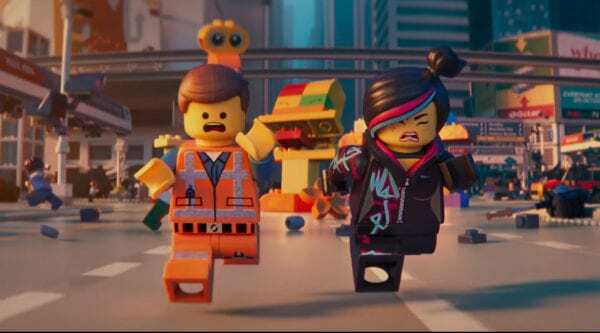 They do a pretty good job breaking down what’s ‘Awesome’ about ‘The Lego Movie’ sequel – with a few bricks of commentary added in by yours truly. Listen to “After the Credits episode 4.07 (Brick and Bare)” on Spreaker. 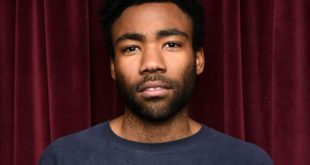 A month back, I talked about a film’s marketability in Monomythic: Episode 4 of my screenwriting blog. How selling a movie can sometimes be more about merchandising rather than the actual story. Think George Lucas and Star Wars action figures. Michael Bay’s Transformers and his 8% cut with Hasbro toys. The Lego Movie represents this idea perfectly: a film series based on a longstanding brand with a built-in audience and a plethora of sellable toy products. What’s even better, was that despite many attempts LEGOs had no truly memorable mascot since the 1950s – with no face for the brand except for the building blocks themselves. An empire built, brick-by-brick, by custom skins and endless worlds of ever-changing possibilities. LEGOs are a merchant’s dream selling you an entire universe on the basis of a simple brick. Which is what makes the original film so refreshing. Everyone knew how exploitive the series could be. There was skepticism amongst the audience’s initial reactions. So the series surprised us by playfully embracing it. Seeing what would happen if we blended all the universes of the sets sold separately, together. Like many of us who played with LEGOs as Children, once had. The movie acknowledges nostalgia. Parodies the quest of a ‘chosen one’ by making Emmet, the LEGO everyman with a heart of Gold, our protagonist and ‘Master Builder’. Emmet is the American Dream – operating on a modus operandi that everything is awesome, at least, up until he realizes that there’s something inherently stagnant about this kragle contained world. So he goes on a journey to save it. Letting go of his preconceived notions of the instruction manual settings by embracing a childlike sense of imagination – which in turn saves the world. The movie, a surprisingly heartfelt story, proving an equally playful as it was a reflective theme about why we play with toys in the first place. With the writing/directorial team of Phil Lord and Christopher Miller, the first LEGO movie delved deep into world building possibilities, while also explored some LEGO meta-humor, and juggled just the right amount of nostalgic childhood panache – because let’s be honest, the Toy Story 3 comparisons would be inevitable if they went too fully in that direction. 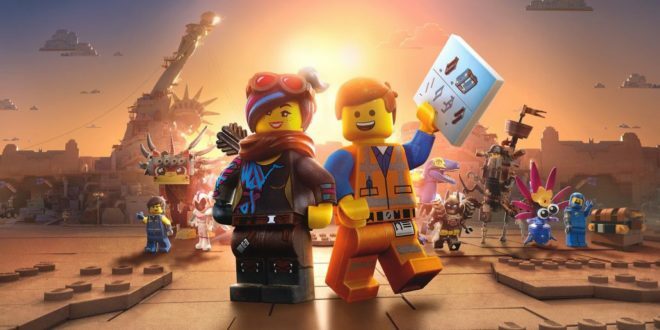 Overall, The Lego Movie became the surprise big hit of the season. Which is why, expectations were ridiculously high for The LEGO Movie 2: The Second Part. And though Lord and Miller still wrote the script, they also ceded directorial duties to Mike Mitchell, noted for the Trolls movie. The movie picks up right where the first left off: with the merging of two worlds. The Duplo blocks of the ‘systar’ system invading the only recently stable civilization of Bricksburg. Whereas the original movie embraced imagination and wanting to be special, ‘The Lego Movie 2’ quickly deconstructs everything we’ve come to see. Embracing a more semi-adult theme by focusing on ‘deconstruction’ as Bricksburg quickly delves into Apocalpyseburg over a five-year timespan. Reintroducing the world with dystopian themes straight out of a PG-13 version of Mad Max. To be honest, at first glimpse the movie is a very hard sell. We’re told that the new world is rough just because of the day the ‘syster’ representatives of theimpenetrable duplo blocks invaded. Likewise, Emmet’s sunny life is different – still idealistic yet the world around him has turned gritty – technically undoing all of the themes and lessons of the first movie – which is rather offputting. Though all Emmet cares about is his life with Lucy and his friends – which all comes crashing down once a spaceship arrives and abducts his loved ones. Forcing Emmet to take the call to adventure yet again, to save the day and maybe even become more brooding and ‘adult’ enough to impress Wyldstyle into being ‘special friends’. I’ll be honest, I really didn’t like the premise of the movie much until the second half. Act one just seemed like one long LEGO action sequence and chase scene that took itself oddly seriously. Filled with humor and amazing LEGO related effects, but lacking a sense of direction. It’s hard to feel stakes on the line when you’re laughing at the nature of this LEGO universe. Atop of this, because of how the first movie was executed with the sidebar storyline featuring Finn and his father, I couldn’t help but wonder what was happening in the real world that made Apocalpyseburg go into chaos. Which was mostly ideas about how a brother and sister simply fought over LEGOS that the movie didn’t showcase until much later. But see that’s the joke. The script WANTS YOU to feel this way. Because ‘The Lego Movie Part 2 THE SECOND PART’ is exactly about just that: the second act. That is where it really picks up and makes sense of the movie. Because in Act II, the movie finally reveals a LOT of the motivations of the story. Yes, it’s about the brother and sister fighting, but it’s also about a sister who just wants to spend time with her brother – similar to how Finn was to his dad in the first movie. And that’s the key. The movie works hard in putting in stakes and taking itself seriously at first, but what redeems the story is that in act two, they stopped taking the world so strict and serious – after all, LEGOs is about playing! And that’s what is really awesome. 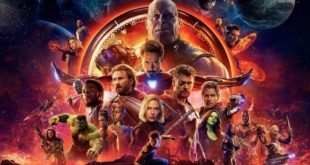 So much so, that I’ll double-down on that by saying when the theme hits its climax, do you really think it’s coincidental that the ‘Awesome Remix’ is chosen as the music that pushes us through Act Three? No, that my readers, is excellent screenwriting. Tiffany Haddish as Queen Watevra of the Systar system. She’s definitely the superstar of this movie – with great musical numbers and terrific acting. “Catchy Song” Click on That. I apologize. Dang You Lego Movie. Even moreso: Dang You Jon LaJoie (Taco from The League) creator of this horrific gem. Emmet in the abyss known as under the washing machine. Throw away the master builder. This one is all about the fist destroyer. Writing. It’s so excellent in embracing the heartbreaking end of adolescence, while also taking responsibility towards the inequalities of gender dynamics – all in a thorough divide of boy versus girl siblings, while at the same time – critiquing the disparity of parental responsibility, but first and foremost, taking a strong stance on the important issues: warning us about the efficacy and haphazard dilemmas one gets into when regarding time travel.